You get picked up by from hotel at 06.00. The car will take you to Ha Long City. Crossing Bai Chay bridge, the car will take you to Hon Gai boat station. Leaving Hon Gai for Quan Lan island on hydrofoil at around 10h30. The beautiful boat trip between the amazing limestone islands will take about 2 hours. On arrival, you will be picked up from the harbor and transferred to the central of the island. We will check in and later have a good lunch with Vietnamese specialties together. Breakfast at the hotel. After that you will be free for your own leisure. – Take bicycle tours around island. On bicycles we will together explore the wonders of this place. From the nearby pagoda, through rice fields, forest areas, big sand dunes and old ruins. 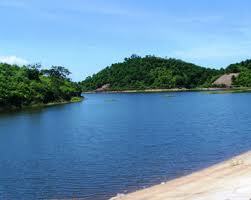 We will also discover some of the most beautiful beaches in North Vietnam. This day is free for you to do what you desire. Depending on the departure time of the local boat, we will transfer to the harbor and get ready to leave the island few minutes after that. Another memorable trip through the Halong Bay will take you back to Halong City where we will have lunch before we start our journey back to Hanoi in a private car. Arrival time in Hanoi around 5pm. End of services./. What to bring: Passport, Sun glasses and hat, toiletries, sunblock, insect repellent, flashlights, personal firs aid kid and medicines, small VND notes for buying drinks. If, at the time of booking, any hotels or rooms in the list above are fully booked, we will endeavor to find accommodation of a similar standard elsewhere. If the only available accommodation is of a higher or lower standard, we will revise the price accordingly and consult you immediately.